Your dental health can have a big impact on how you look, and it can influence your overall well-being. Modern dental technology can provide patients with better overall experiences when they come in for restorative and general dental care. Sometimes, this means using modern materials to create more attractive restorations. It can also mean supplying relief from dental anxiety in the form of an appropriate sedative agent. 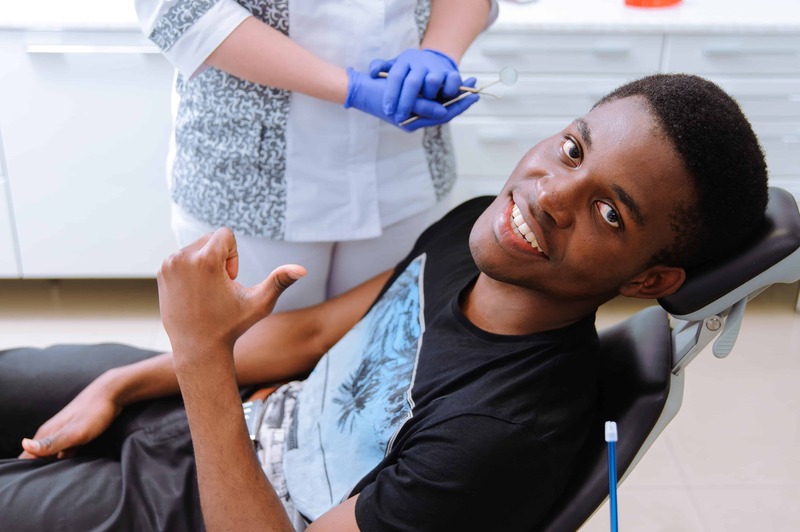 When you have access to modern dental treatment, you can be sure that your oral health needs are being expertly managed. Having the means to put anxious patients at ease allows your dentist to provide expert smile care for patients uneasy about coming in for treatment. Sedation with nitrous oxide allows you to be aware of your surroundings, and what is happening, but you still stay relaxed. That means you can be cooperative, but you still avoid the feelings of concern that make appointments difficult. Preserving your best smile is important. With porcelain dental crowns and composite resin fillings, your dentist can protect problem teeth without hurting your appearance. Of course, the best oral care means more than just fixing problems with your teeth. If you are experiencing symptoms of gum disease, a Perio Tray can help. By taking home a Perio Tray, you are bringing home the means to effectively stop gingivitis. Without treatment, your gum disease can grow more advanced. Untreated periodontal troubles can lead to serious complications, including tooth loss. At Wager-Evans Dental, Reno families have access to modern dental tools and treatments. This means you can look forward to the kind of care that will keep your smile looking great. Our practice offers cosmetic, restorative, and preventive dental care. Our team at team at Wager-Evans Dental are devoted to providing first-rate care to patients of all ages. Located in Reno, NV, we proudly welcome residents from South Meadows, Double Diamond, Caughlin Ranch, Donner Springs, Meadowood, Sommersett, Arrow Creek, and all other nearby communities. To schedule a consultation or your next dental appointment, visit our office, or contact us today by calling (775) 829-7700.